Practical solutions to everyday garage door problems! You will find the following tips useful and helpful. 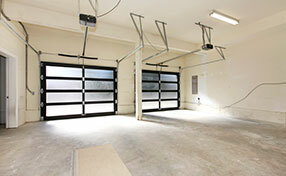 Most garage doors need r-12 energy efficiency although it will mostly depend on the local weather conditions. Though, it's wrong to consider that r-16 will give you double insulation than an r-8 door. As the number gets bigger, the energy increases but it doesn't get double. Composite lumber actually contains just thin layers of wood at the outer part of the door. The rest is a blend of materials, which can keep the door strong and of low-cost maintenance. 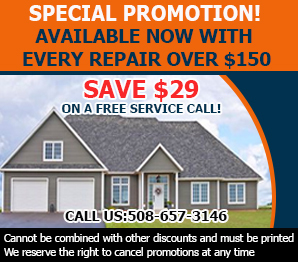 So, according to our garage door specialists in Bridgewater you won't spend much for repairs. Most garage doors purchased through retail chains are usually supplied with standard extension springs on single car garage doors and EZ Set torsion springs on two-car doors. 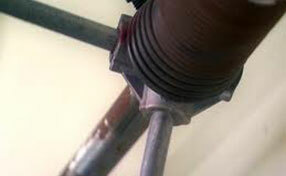 Consult our team of experts to determine the type of spring system that comes as a standard with your door. These accessories accumulate dirt more quickly than most other system components. That is why they require proper cleaning regularly. It is recommended to use a soft cloth damped in vinegar for cleaning the plastic housing, buttons, battery compartment, and contacts. You need to use dry microfiber cloth for the cover of the infrared unit. Your home's ceiling adjacent to your garage door should be repaired whenever you see cracks or fractures. The winter wind can blow in snow or rain water that can cause real problems with your garage door, loosen window frames and even cause the glass to fallout and shatter. If there are any problems with the door or its mechanism, then give our specialists a call for a full inspection to be sure your door is ready for wintertime weather ahead.